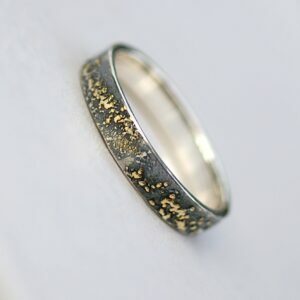 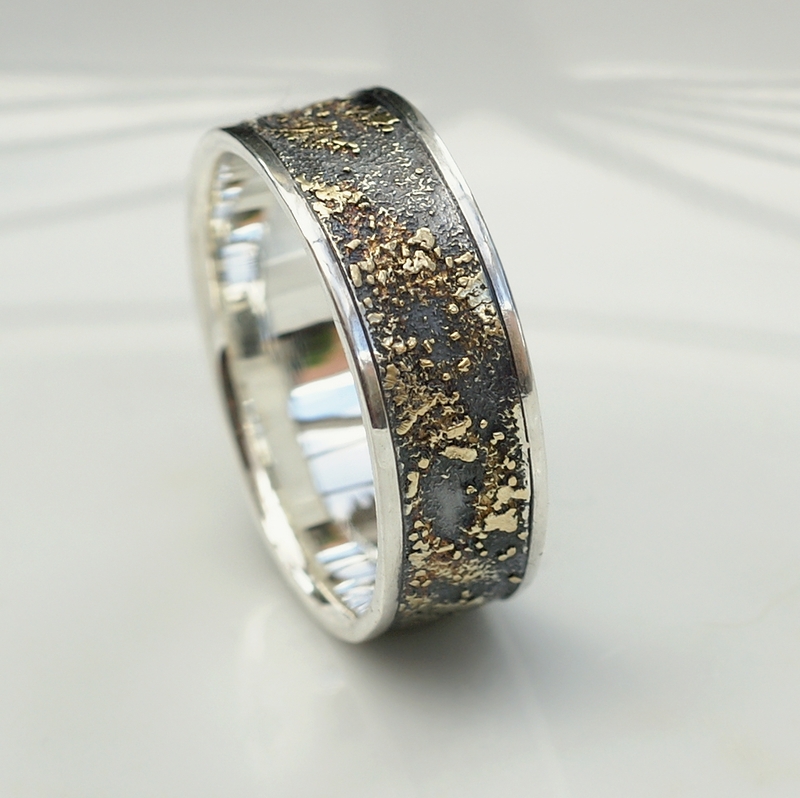 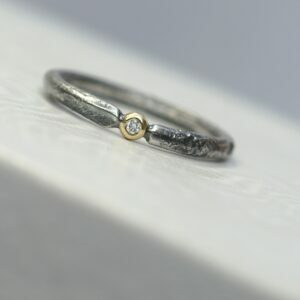 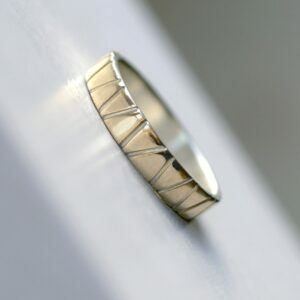 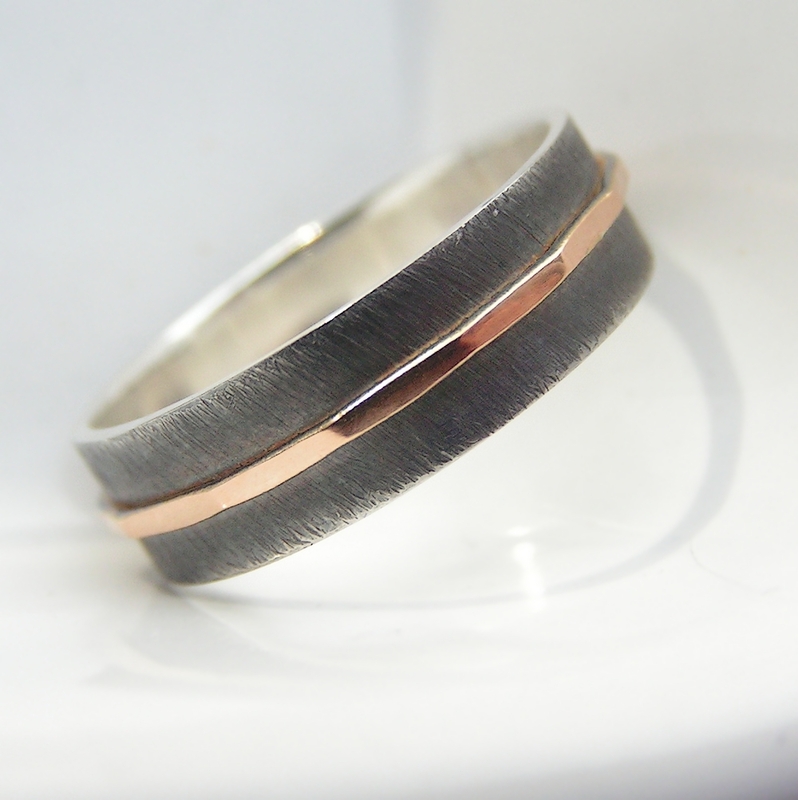 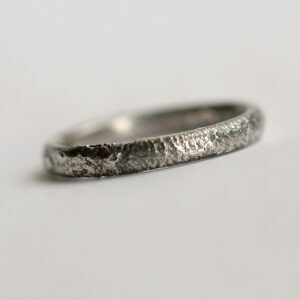 Rustic men's wedding ring in 18kt gold and oxidized sterling silver. 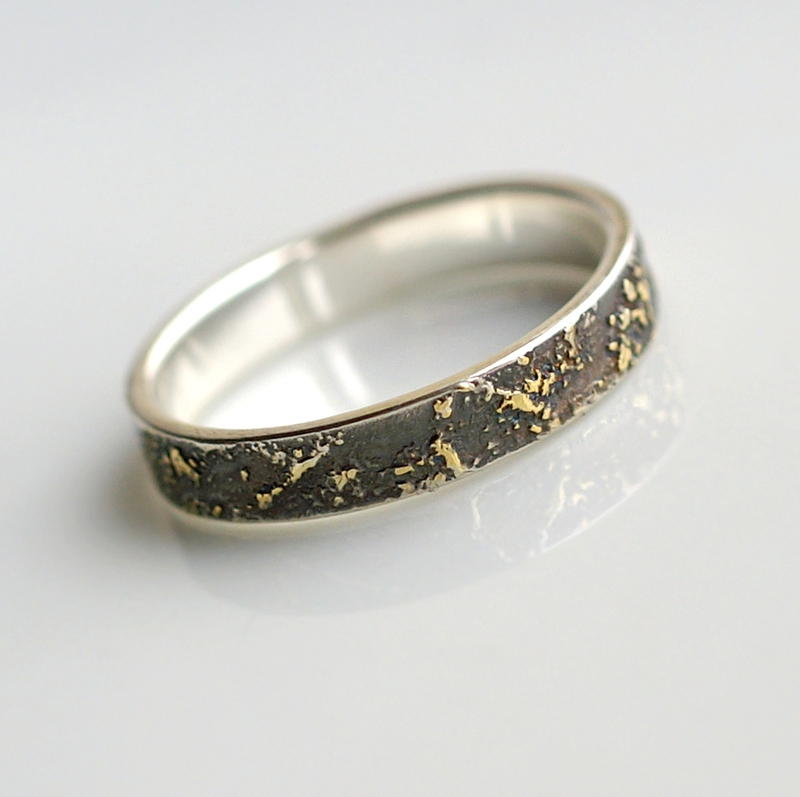 Quintessence of chaos with no rules, sterling silver oxidized ring with random gold stains. 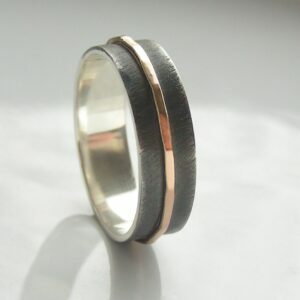 Men’s wedding ring or unisex band. 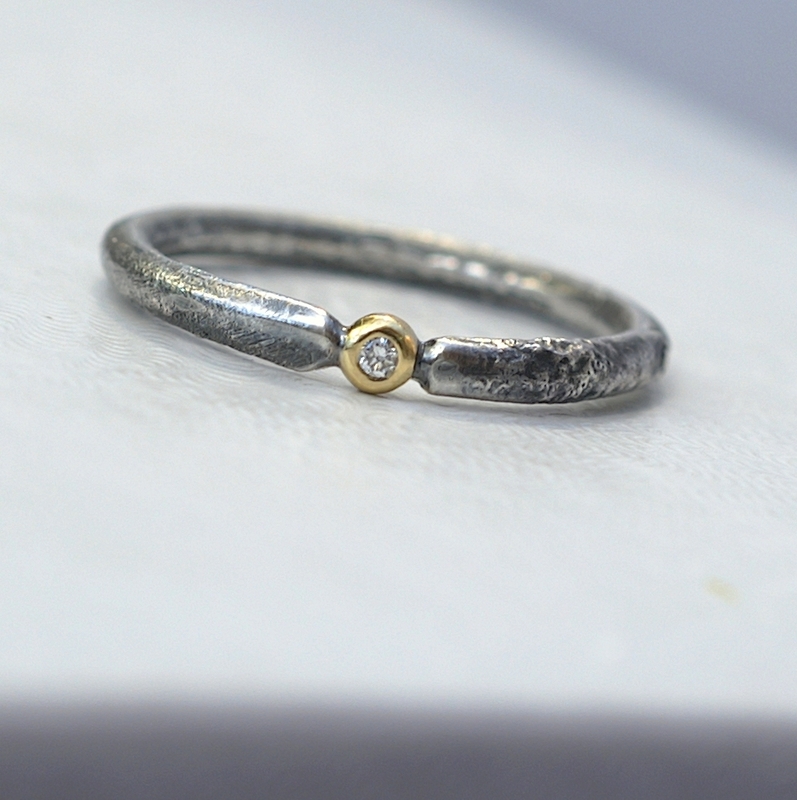 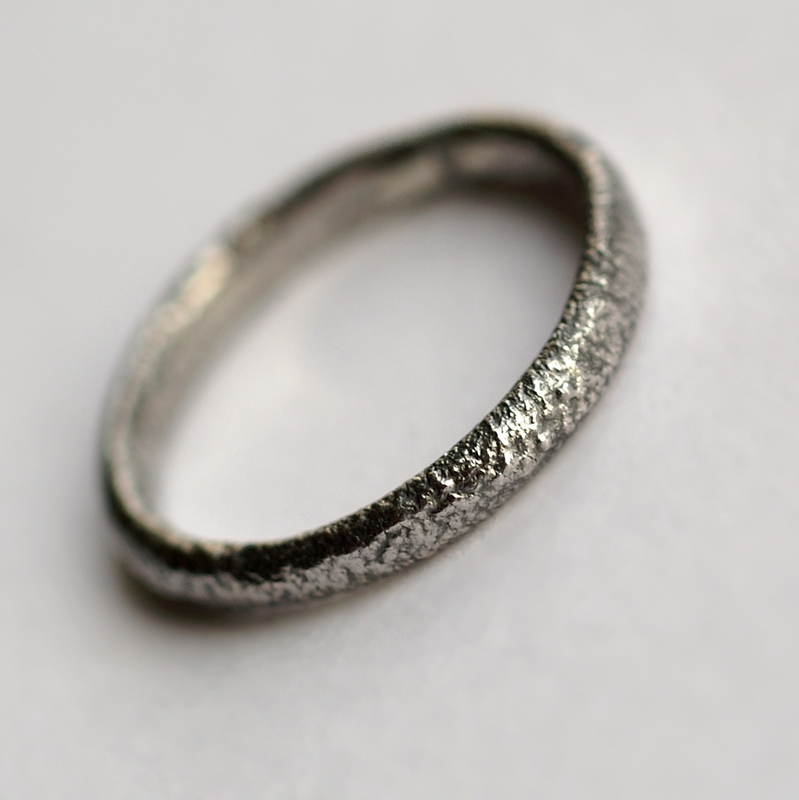 The ring is made from sterling silver, slightly textured with reticulation and oxidized. Gold spots are solid 18k gold. 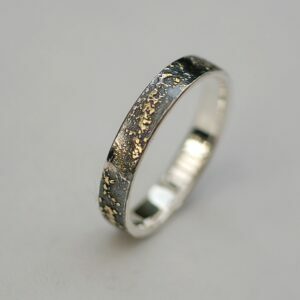 It is random mix of gold dust, microgranules and solder fused to silver surface. 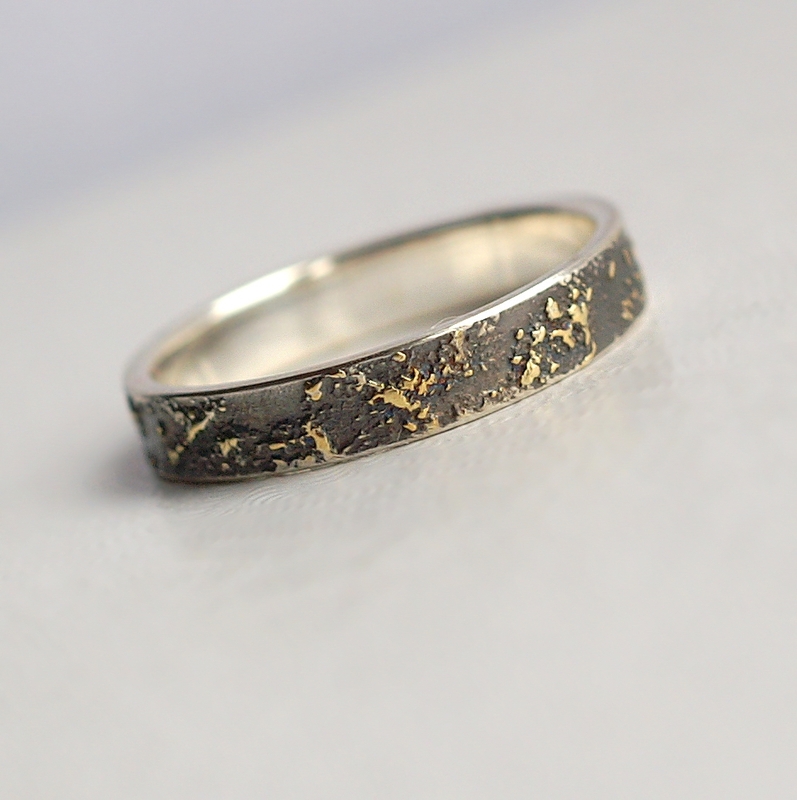 Patina is polished in the inside and the high spots, so it won’t wear off. 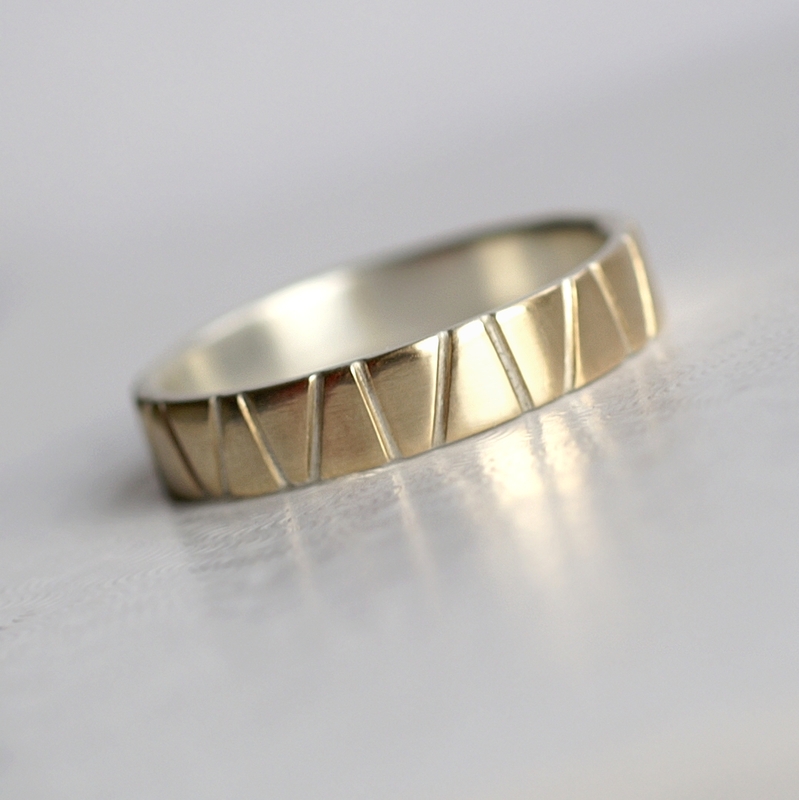 It may slightly change over the years (depending on how much the ring is worn). 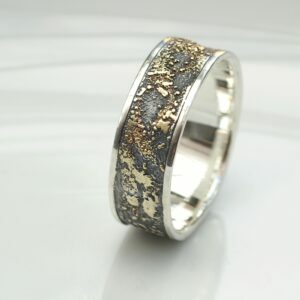 Due to the technique used, every ring is unique with different texture.